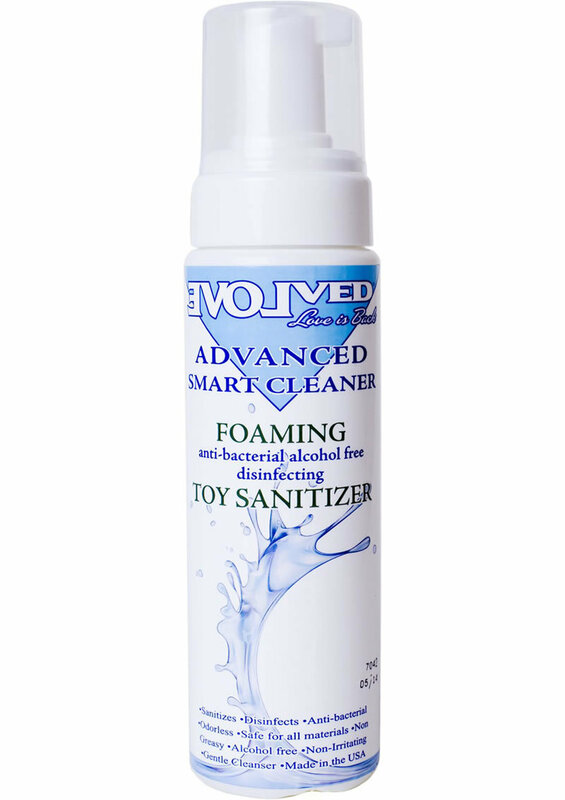 Use Evolved's Smart Cleaner to remove unwanted bacteria, and dirt with its gentle cleansing action. Smart Cleaner works on all toy materials and is completely safe. Nothing is more important to your toy than proper hygiene, and Smart Cleaner will keep it bacteria free, sanitized and disinfected. Smart Cleaner: Good for your body, Smart for your toys.